PSCBL-3 WEST MOUNTAIN PSCBL3 (58531-1079) POWER SUPPLY CABLE, 3ft. (58531-1079) POWER SUPPLY CABLE, 3ft. 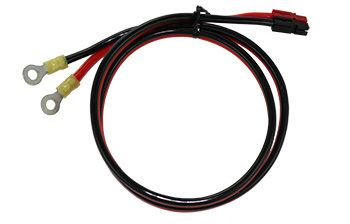 Powerpole connector to 1/4" ring terminal 10 gauge cable. 3 foot flexible DC cord for connecting a RIGrunner to a DC power supply or battery.